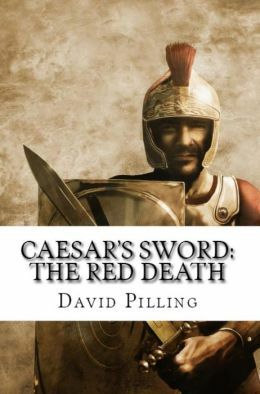 Due to my continuing interest in fictional creations of Arthur’s descendants, I was very excited when I heard about David Pilling’s new book Caesar’s Sword, Book One: The Red Death. This book offers a new take on Arthur’s descendants, resurrecting the overlooked son of Arthur named Amhar, who in the Historia Brittonum, is listed as Arthur’s son whom he slew, and who may have been the source for Mordred later being treated as Arthur’s son. In Pilling’s version, Amhar decides to side with the traitor Mordred against his father, Arthur. When Arthur learns of Amhar’s treachery, he fights Amhar and slays him prior to the Battle of Camlann. But that’s just the beginning of this book. Amhar has a son named Coel, Arthur’s grandson, and it is Coel who is the main character of Caesar’s Sword. Coel and his mother fear that Arthur will be angry with them so they flee Britain. But a few days later, Arthur dies at Camlann and Coel and his mother’s existence is basically forgotten in Britain, which is caught up in battles between its kings. Coel and his mother, Eliffer, are accompanied in their flight by Owain, one of Arthur’s knights. Owain has retrieved Arthur’s sword, Caledfwlch, which was knocked from his hand during his battle with Amhar. Owain keeps the sword for Coel until he is old enough to wield it. The sword is said to have belonged to Julius Caesar and to have been forged by a god, so Coel treasures it. 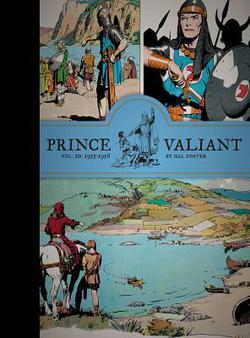 Coel, Owain, and Eliffer seek refuge at the French court, but after Owain dies fighting for the French king, Coel and Eliffer decide to travel to Constantinople. They make a long journey, during which Eliffer tells Coel all about his grandfather, Arthur. So far, so good, but it is when Coel reaches Constantinople that the story really took off for me since I have long been fascinated by the history of the Byzantine Empire, and the rest of the novel covers much of the reign of the Emperor Justinian, the greatest of all the emperors. I won’t give away all the plot here, but it is sufficient to say that Coel will have Caledfwlch stolen from him and he will set out on a quest to win it back. In the process, he will find himself in slavery, working in the Hippodrome’s Circus, and making an enemy of a harlot who ends up becoming an empress and seeking revenge on him. While the Arthurian elements are strongest in the novel’s beginning, David Pilling brings back the significance of Arthur at the end of the novel. Coel finds himself having to fight his own sense of dishonor in having been Amhar’s son, and he feels his grandfather is watching over him, perhaps displeased with him, and he has to come to realize he is his own man and not his father. How he comes to this realization I’ll leave for readers to enjoy discovering themselves. Pilling writes smooth, clear prose that moves the story along. The plot is not overly tight, but it never lags, as the reader follows Coel through his many experiences. Pilling plans to continue the story, and I am curious to know what will happen next. Perhaps Coel will return to Britain or father more descendants of King Arthur. I recently returned from a wonderful trip to the beautiful country of Turkey. I knew Turkey was filled with ancient history—the ruins of Ephesus, Troy, etc.—but I have always been most fascinated with the Byzantines, or the Greeks or Romans, as they called themselves. I am also struck by the similarities between Camelot and Constantinople, and particularly between King Arthur and Constantine XI, the last Byzantine Emperor. Just as Camelot was the brief shining moment before Britain was conquered by the Saxons, so Constantinople was the last remnant of the great Roman Empire which had once ruled most of the known world, including Britain. 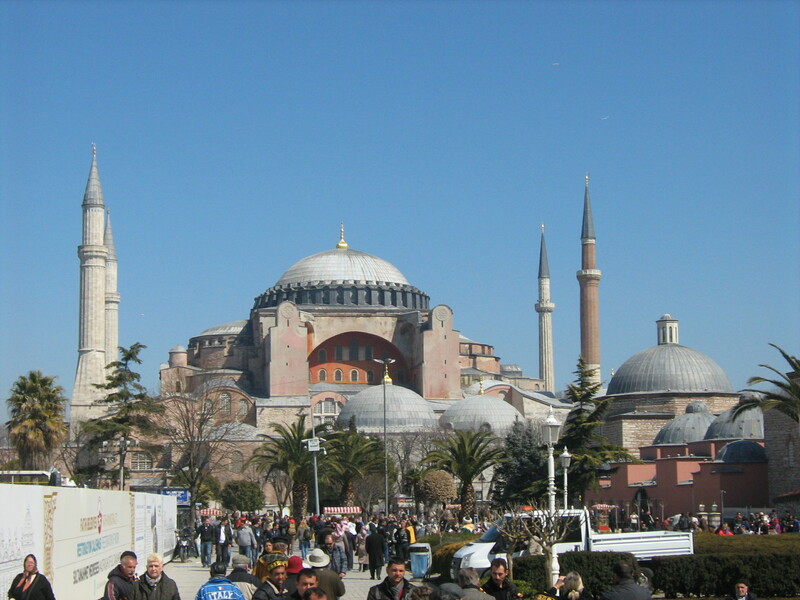 The city’s fall to the Turks in 1453 marked the end of the Roman Empire, which had stretched on for over 2,000 years. 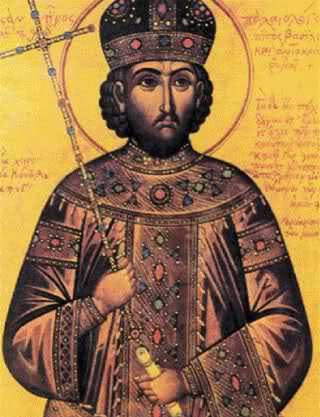 Constantine XI, the last emperor, had a tragic ending that inspired great myths similar to those of King Arthur, so while the two were not necessarily related, although Constantine XI was named for Constantine the Great, and Arthur is often believed to be a relative or descendant of Constantine the Great, Constantine XI may be deemed a mythical or literary descendant of King Arthur in how they are both depicted as leaders who may come again. Constantine’s tragedy lies not only in the Fall of Constantinople, but that he was the last emperor, without even an heir. He had two wives but no children, his second wife dying in childbirth. Similarly, Arthur had no children who survived him. His end is more tragic in that his son, Mordred, and he slew each other, but nevertheless, both leaders’ endings spelled the end of an era. The people of Constantinople, the city being all that was left of an empire, held out under siege by Mehmet II for fifty-three days before the city finally fell. 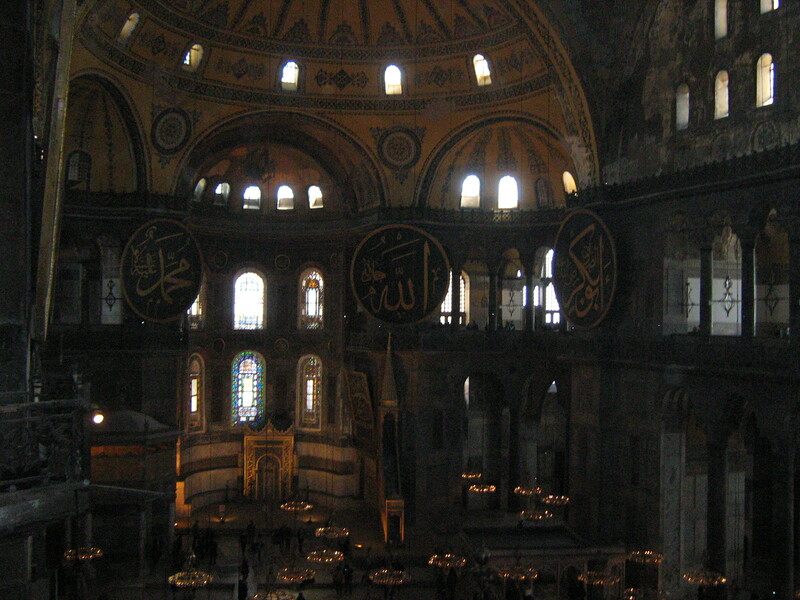 In the city’s last hours, Constantine would have prayed inside Hagia Sophia before going to fight with his people as the city walls were beaten down. What happened to the emperor once the city fell has become the stuff of legend. The emperor’s body was never found, or if it were, it was not recorded. One source states that Constantine’s last words were, “The city is fallen and I am still alive,” and then he tore off his imperial ornaments so he could not be distinguished from the other soldiers and made a final charge at the enemy. According to Roger Crowley in his wonderful book about the Fall of Constantinople, 1453, Constantine was very aware that he would go down in history as the emperor who let the city fall, so he may not have wanted to be identified because of the shame he felt, and he also would not have wanted to be taken alive and forced into shameful positions of submission before the conqueror, Mehmet II. One story claims that Constantine was identified by his purple boots, and that his body was decapitated and his head sent around Asia Minor as proof of Mehmet II’s victory, but more likely, his body was never identified and he died in a mass grave with the rest of his soldiers. The inability to locate the emperor’s body led to myths that he had not died. Just as King Arthur is taken to Avalon before he can die so he can be healed of his wound and allowed to return again, so Constantine is preserved from death so he can return. In one such legend, an angel rescues the emperor as the Ottomans enter the city. The angel turns Constantine into marble and places him under the earth in a cave near the Golden Gate where he waits to be brought back to life to re-conquer the city for the Christians. Just as the British have hoped for Arthur to return in their hour of greatest need—during World War II, the myth was especially prevalent—the Greeks have held onto the dream of Constantine’s return. During the Balkan Wars and Greco-Turkish War in the early twentieth century, the name of the then Greek King, Constantine, was used to see him as part of a prophetic myth that Constantine had returned. Although Constantine XII failed to return Constantinople to Christian hands, similar British efforts have been made to recreate King Arthur through another monarch of the same name, such as King John’s nephew in the thirteenth century being named Prince Arthur, to the brother of Henry VIII who was also Prince Arthur, and even the speculation that current Prince William will use his middle name Arthur when he someday ascends the throne of Britain. Constantine’s return seems very unlikely to me, especially when Istanbul is a thriving busy city of nearly 20 million today, and a largely Westernized if Turkish city. Had Constantine not been the last emperor, doubtless one soon after him would have been, but his myth speaks to the affection his people had for him, that they did not wish him ill or blame him for the loss of Constantinople, but rather they see him as a tragic hero, just as Arthur lives affectionately in the British people’s bosoms.